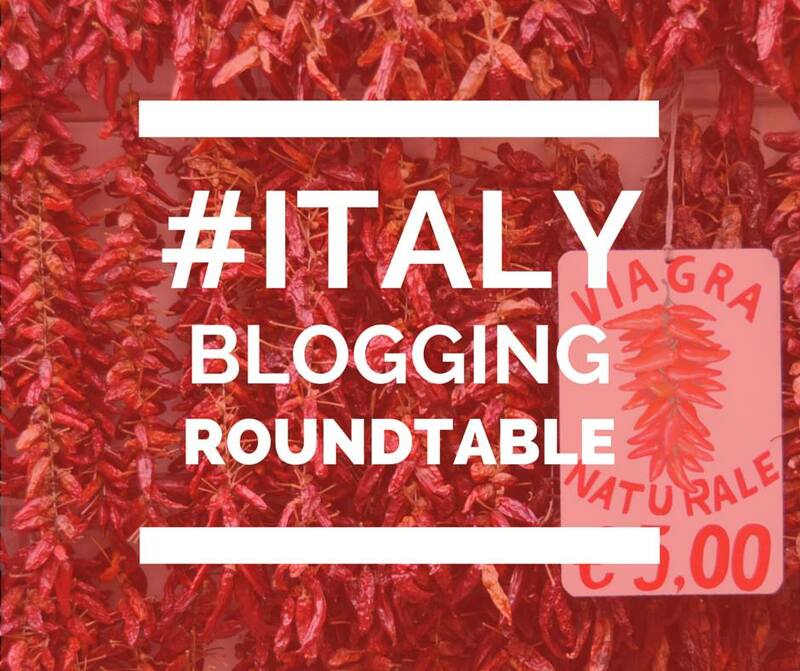 This is the first installment of the monthly Italy Blogging Roundtable, a project organized by travel writing powerhouse Jessica Spiegel, and including professional travel writer Melanie Renzulli, art historian and general brainiac Alexandra Korey, Tuscan uber-blogger Gloria, and me. I am very much enjoying my time here while I can, because in just a few short months my fellow participants will realize that I am the millstone standing between them and fame, at which point I will quietly fade into obscurity and remain the subject of myth and conjecture for generations, much like the fifth Beatle. 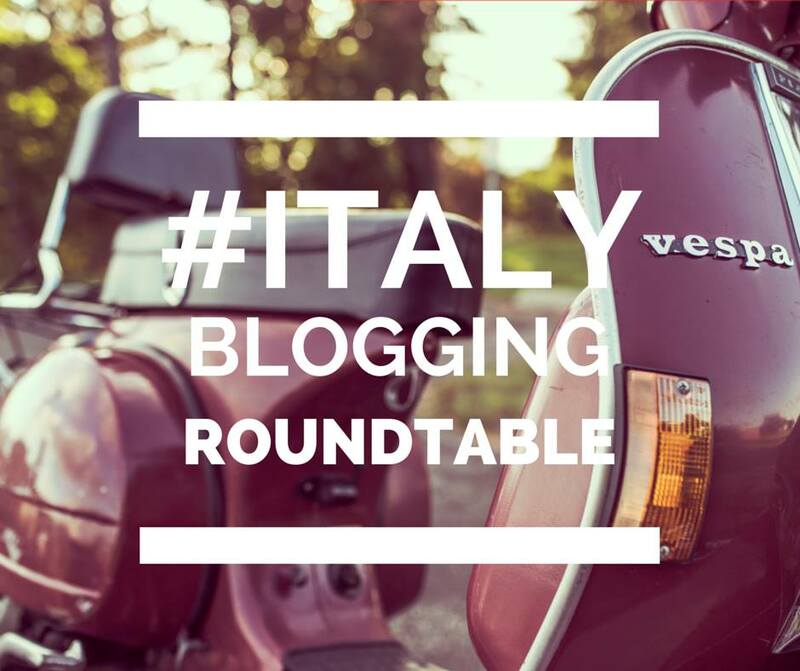 Our topic this month is “Why I Write About Italy”. So pull up a chair to our Roundtable, have some Chex Mix, and join in on the conversation. They also say, “Use correct spelling and punctuation”. But if there’s one thing I’ve learned in almost two decades of living in this benign anarchy known as Italy, it’s that there are certain rules which absolutely must be observed in any circumstance lest you unwittingly release the winds of hell, destruction, or—god forbid—brutta figura (i.e. : when shaking hands in a crowd, never reach across another person’s outstretched arm, which brings on the evil eye and/or plagues of grasshoppers) and there are certain rules which are discretionary (i.e. : Red means stop. Green means go.). To say I write about Italy because I know Italy would be folly, of course. Italy—much like Italian, theoretical mathematics, and parenting—is a field in which the only thing you ever truly know is this: The more you know, the more you realize you don’t know jack. Knowing this captivating country is as daunting—and, ultimately, impossible—as trying to frame a river. Italy rushes past, churning up sand and bubbling over boulders, changing its path according to history, trend, and whim, alternatively drying up and flooding the plain, and confounding anyone who tries to navigate its changeable waters. I don’t know Italy, and never will. But I do know some things about my corner of Italy—Umbria–and my experience living here as an American expat, married to an Italian, raising two sons, and running a business. And that’s what I write. 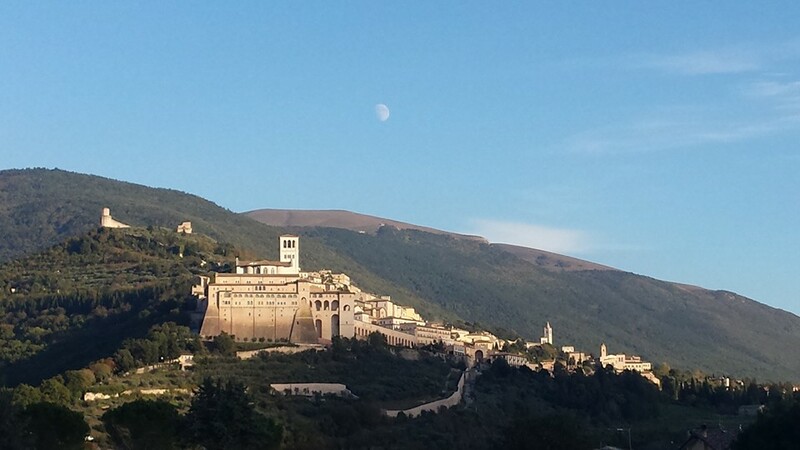 The world is changing, and Umbria along with it. But the changes this rural region has gone through over a single generation took most of the western world a plodding two hundred years. My husband has gone from having no electricity, indoor plumbing, or telephone in the late 1960s to having wifi and solar energy in 2011. He remembers harvesting grain with a thresher powered by a hand-cranked motor, piling haystacks two stories high, and walking to a schoolhouse with all five elementary grades in a single room. Clearly, modernization is positive, but has also brought with it a certain loss of traditions and unraveling of social fabric. The countryside has emptied out, as have many historic centers, and soulless apartment blocks have replaced courtyards and piazze. Outdoor markets and tiny specialized shops have succumbed to shopping centers and box stores. Backyard wood-burning ovens and cold January days of curing prosciutto and salame can’t compete with the convenience of industrial bakeries and butchers. And so I grasp on to these disappearing vestiges of the slower, richer (though, certainly, smellier and grimier) Umbria…I try to hold on to these wisps of memory like a child grasping to catch fog in his hand. I try to stop time for just a minute, just 500 words, just enough to remember the torta, the Cantamaggio, the hog butchering, the artisans, the people and their lives before there’s no one left who can. Diego to my Frida, Ted to my Sylvia: Italy exalts and rarifies me, stripping me to my creative and artistic core, teaching me the worth of beauty, time, and love. The next day–hour, moment?—Italy exhausts and defeats me, exasperating me with demands and accusations, making me long for escape. Italy is a demanding lover and I am hopelessly in its thrall. But instead of a legacy of jarringly intimate paintings or confessional poems, I find relief in leaving a breadcrumb trail of reminders. I write about what I love about Umbria, about Italy, about my life here because I know there are times–many times–when I need to page through these mental photographs like an unhappy wife who studies her wedding album trying to recapture what it was that made her fall in love in the first place. Pipe down, we’re all dying. Sooner or later we’ll be gone, and our children and grandchildren will be left with very little information that goes deeper than what is recorded in the municipal archives. Our inner lives, our impressions, our decision-making processes, our visceral hate of cilantro…anything that fills in the sketchy outlines of our life will be precious to them. How I would love to know what my great-grandmother was thinking all those weeks on the ship from Greece, what she made of her first hot dog, how long it took her to wrap her head around English, what she missed the most from Mykonos, what she loved most about America, why—oddly–her favorite snack was Dutch windmill cookies. But I will never know those things, because Yia Yia didn’t write them down. And so I write. I write for Umbria, past and future. I write for myself, head over heels. I write for my children, who will wonder. This is why I write about Italy; this is what I know. On Writing About Italy from writingsharks.net with commentary on how to improve your writing and proofreading.